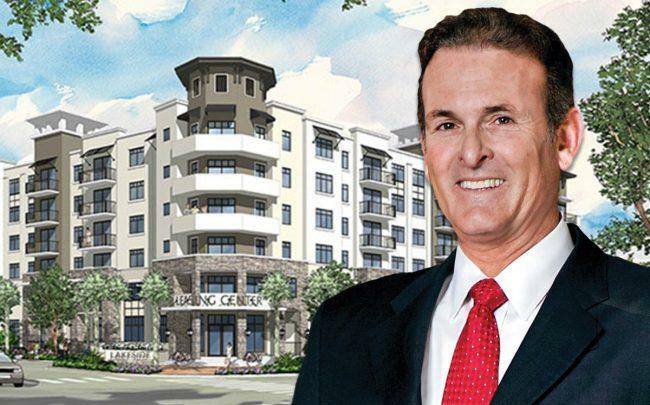 An affiliate of Lennar Corp. scored a $41.3 million construction loan to build a new apartment complex in Plantation near the former American Express building. The Miami-based homebuilder secured the loan from SunTrust Bank to build the apartments on a 194,372-square-foot parking lot on American Express Way. The development can have up to 279 units, according to property records. Lennar bought the site in 2017 for $6.3 million, records show. Down the road, Coconut Grove-based TM Real Estate Group plans to develop a mixed-use project on the site of a 1970s office building that housed American Express. It will feature 598 residential units, in addition to retail space. Lennar became the country’s largest homebuilder after acquiring CalAtlantic in a deal worth about $9 billion in February 2018. The company has grown its multifamily division in recent years as millennials have shifted toward renting instead of buying homes. In Miami’s Wynwood neighborhood, Lennar is planning to build an 11-story, 189-unit apartment building as part of a development called Wynwood Green. Lennar’s multifamily division generated $97 million in revenue in the first quarter of 2019. That was about 2.5 percent of the company’s total revenue in its most recent quarter.